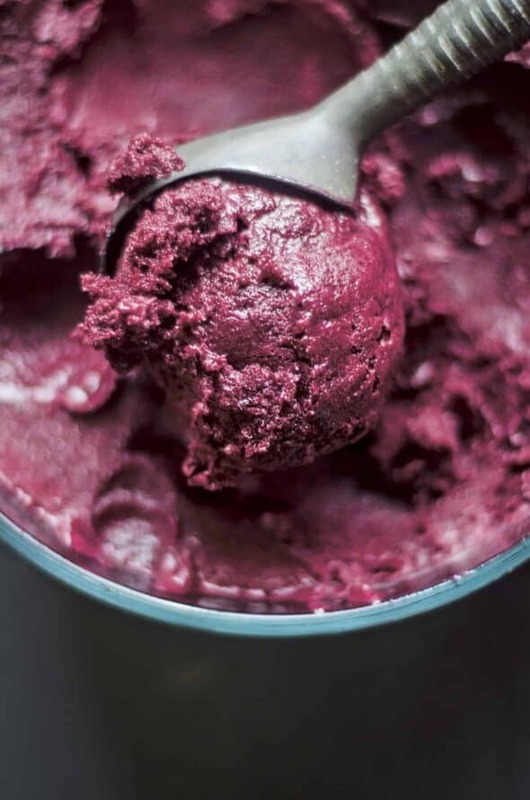 A recipe for Concord Grape Sorbet with Rosemary and Black Pepper and an interview with the author of The Nourished Kitchen. Jennifer McGruther has been a leader in the traditional food movement for years as a food educator and through her popular blog Nourished Kitchen where she shares recipes and advice on preparing wholesome, nourishing food as part of a Traditional Foods Lifestyle. 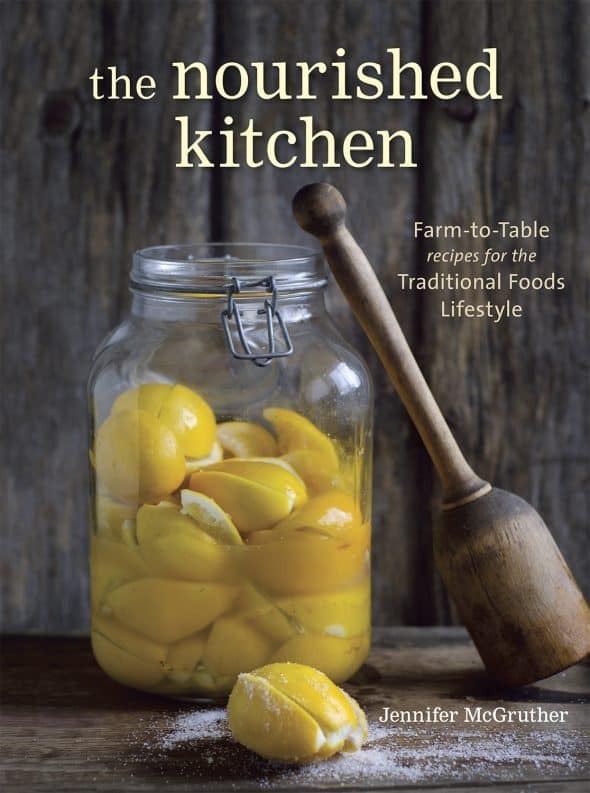 Her first book, The Nourished Kitchen, is a beautiful collection of food and photos that showcases 160 traditional foods recipes. More than just a compilation of recipes, however, it teaches us about eating a balanced diet filled with real, nutrient dense foods prepared in a traditional manner in accord with the land and the seasons. The book itself is divided into chapters such as “from the garden”, “from the pasture”, “from the water”, “from the orchard” reflecting the real food, sustainable, farm-to table philosophy that’s woven throughout the book. 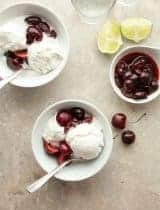 Jenny was kind enough to take the time to stop by to answer some questions on her book and to share a recipe for her Concord Grape Sorbet with Rosemary and Black Pepper as well as to offer you all a chance to win a copy! 1. Can you briefly explain the principles behind a traditional foods lifestyle? Traditional foods is a philosophy of balance, sustainability and community. 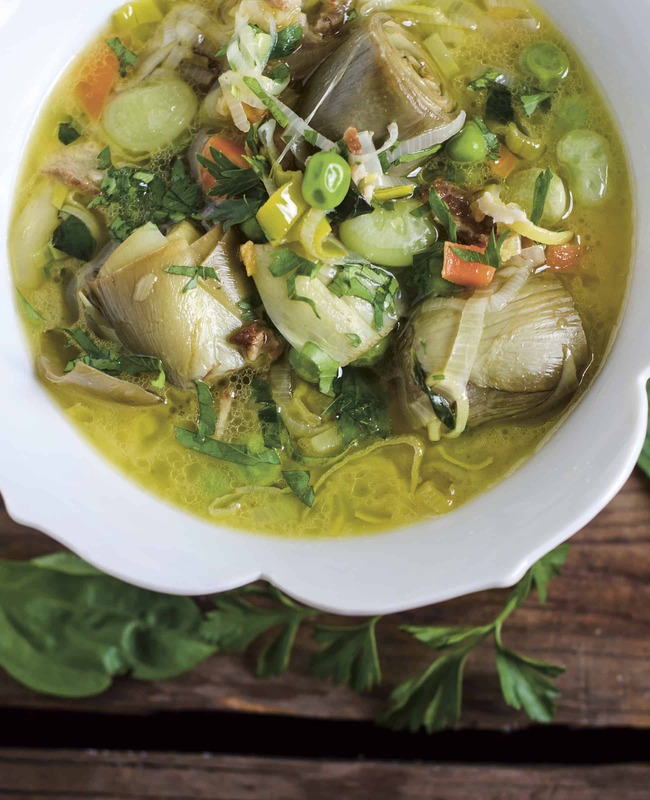 It simply focuses on the foods our great-great grandmothers would have made: whole-grain breads, homemade yogurt and butter, fresh vegetables, long-simmered broths. Traditional foods are whole, unprocessed and include meat, fish, offal, raw dairy, fermented foods, vegetables, fruits, healthy fats, unrefined sweeteners prepared in a way that maximizes their nutrient value. They’re simple, wholesome and old-fashioned. 2. Can you tell us how you came to eat this way? I had been sick for a long time, and had come to traditional foods and the work of the Weston A Price Foundation, an organization committed to educating the public about nutrient-dense foods, by accident after my son was born. I fell in love with the approach, and I began to feel well again. 3. What improvements have you seen since implementing this way of eating? My family is rarely sick, and when we do become sick, illnesses like the common cold will typically only last about a day for us. We’re healthier, in general, too. My skin is clear, my nails shiny and strong. I sleep better. 4. 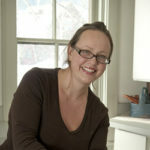 How did you come to be a blogger and cookbook author? Have you always enjoyed cooking? I started my blog because no one else was discussing traditional foods at that time (2007) and I wanted a way to move through my journey. The site and the movement have grown considerably in that time, and a book was a natural follow-up to the blog. 5. What kinds of recipes can readers expect to find? The chapters move readers through where their food comes from. In this way, it’s much more than a cookbook, and, instead, is a book on both culinary and agricultural philosophy that guides readers through sourcing foods from ethical and sustainable farms. Recipes are typically simple and uncomplicated in technique, but complex in flavor. 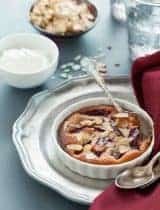 I’ve included some favorites of mine, like Concord Grape Sorbet with Black Pepper and Rosemary and Wild Mushroom Soup, as well as historical recipes like Bonny Clabber and Portugal Cake. 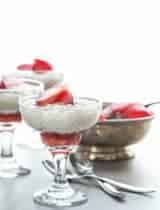 As I work within Traditional Foods, I’ve included many recipes for fermented foods like milk kefir, kombucha and sauerkraut as well as a handful of recipes for offal. 6. Name three favorite recipes from the book you think everyone should try first. 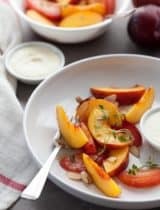 Mmmm … I love the Blistered Radishes with Parsley, the Bone Marrow Custard, and the Roasted Peaches with Basil and Yogurt. 7. Do you have any tips for people wanting to transition to a more traditional foods diet? I think every small step someone takes in the right direction is a good one. Try not to get overwhelmed, and keep an open mind to trying new foods and new flavors. “I look forward to the few weeks of late summer when grapes hang heavy on their vines and arrive at the market in boxes. Of all the table grapes, the Concord grape is the one I cherish most. I buy them by the case in the few weeks they’re available, using what I can for jams, sorbets, and pies. The rest I freeze and use throughout the winter. Toss the grapes into a food processor and process them for 45 to 60 seconds, until they form 3 to 4 cups of a coarse and lumpy, vibrantly purple slurry. If your food processor is small, work in small batches until you’ve processed all the grapes. Transfer the puree to a saucepan, pour in the honey, and drop in the rosemary and black peppercorns. Simmer the mixture over medium-low heat for 15 to 20 minutes, until slightly thickened and deeply fragrant. Set a fine-mesh sieve over a large bowl and pour the puree into the sieve, straining out the grape seeds, rosemary, and peppercorns. Cover the bowl and transfer it to the refrigerator. 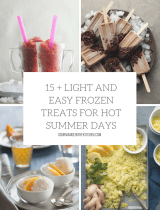 Allow the puree to chill for at least 12 hours. Churn the puree in an ice cream maker according to the manufacturer’s instructions. 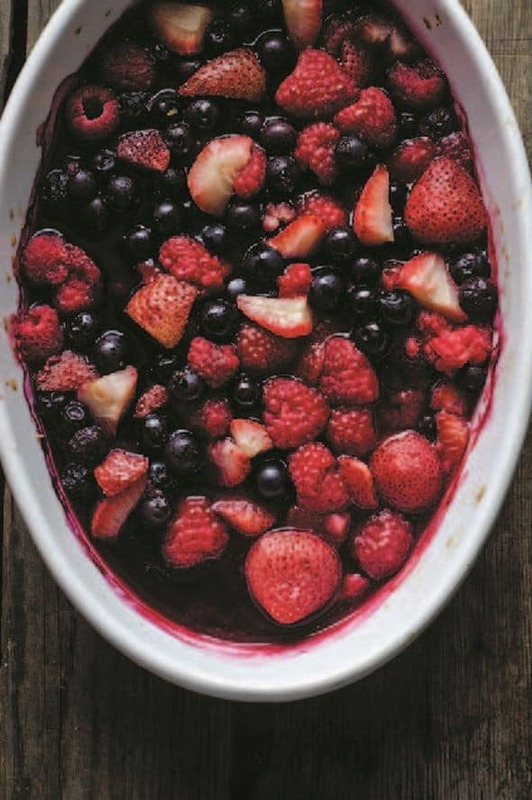 Spoon the sorbet into a container, cover tightly, and store it in the freezer. It will keep for up to 2 weeks. You can connect with Jenny on Facebook, Twitter, Pinterest and her blog. Jenny has generously offered to send one lucky reader a copy of The Nourished Kitchen. Enter below for a chance to win a copy. I love her and her recipes! So this interview was so fun to read! Thank you for sharing! Concord grapes have such an amazing 'purple' flavour. I plan on using them in a pie, once they become available here in Toronto. Oh my wow! The color of your sorbet is just gorgeous, and the flavor combination sounds amazing! I almost bought some Concord Grapes at the store yesterday. 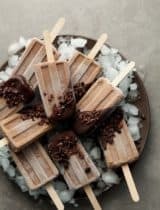 After seeing this recipe, I definitely need to go back and buy them. Love the book too! I have a question. 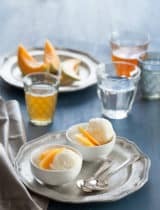 I find when I use my ice cream maker, my sorbet freezes to the sides, and I end up having to scrape out a good portion of the sorbet; a time consuming process. 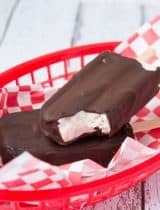 Is there any reason why one can't just pour the mixture back into a food processor for a period of time to make sure it is well blended, then pour it into a container and place in the freezer, thereby eliminating the need to use the ice cream maker? Hi Sarah, Unfortunately that won't work because it's the process of churning while it's freezing that creates the small ice crystals you want for a smooth sorbet. If if freezes without constant churning you'll end up with one big frozen mass not sorbet. On the other hand you could take it out every hour or so while it freezes and rake it with a fork to break up the ice crystals at which point you'd have granita but not sorbet. Hope that answers your question! Now that is some seriously good looking sorbet.. the colour is amazing. Pinned!